Here at last is the new book from Jane Webster, the poster girl for selling up and following your dreams and buying an almost derelict chateau in France. In the more than ten years since Jane moved her young family to France, she has spent countless hours observing French style and inspiring people to frenchify their life. 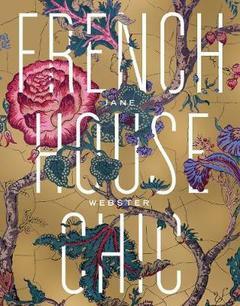 French House Chic includes intimate imagery of never-before seen French houses and Jane’s personal address book of suppliers, creators and stores. This is a very personal story of a lifetime of cultivating an eye for style and bringing it to life in the home. Jane Webster is the author of At My French Table and French Ties. She spends six months in France each year where she runs cooking classes and food and wine tours.